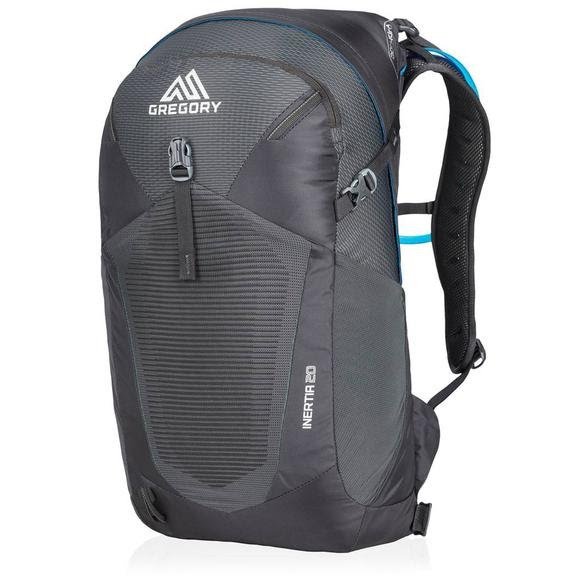 Gregory's Inertia 20 keeps a low profile and clean exterior that won't slow you down as you tear up the trail. Bring a rain shell, hat, and gloves for changing conditions in the fall and spring, but leave your water bottle behind and fill up the included Gregory 3D Hydro reservoir. Gregory &apos;s Inertia 20 keeps a low profile and clean exterior that won&apos;t slow you down as you tear up the trail. Bring a rain shell, hat, and gloves for changing conditions in the fall and spring, but leave your water bottle behind and fill up the included Gregory 3D Hydro reservoir.